Spring is here! Get outside and do some good this Earth Day, Saturday, April 22. Join Goodwill and the City of Overland Park, KS at the Spring Recycling Extravaganza on Earth Day, April 22, 2017. 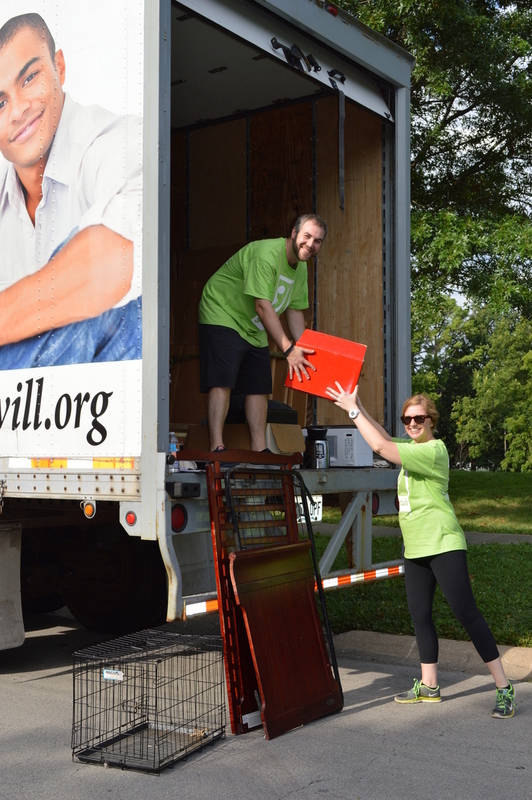 The community is encouraged to donate clothing, housewares, small appliances, toys and other unwanted items to Goodwill from 8am-2pm in the parking lot of Black & Veatch (11401 Lamar Ave, Overland Park, KS 66210). As a volunteer, you’ll greet donors, help unload donations from donor vehicles, hand out receipts and build awareness for Goodwill’s mission. If you are unable to load items, we have other tasks that are needed. Please sign up for one or more of the three-hour shifts. If you plan to share this link widely, consider creating a team of volunteers by using the orange button on the sign-up page and following the instructions. Let me know if you have any questions. Your time supports a GOOD cause. 90 cents of every dollar spent supports LOCAL programs and services that empower job seekers with barriers to employment.